Amongst the talented creative residents on Issaquah dock is Dr. Mary Lou Jepsen, a serial entrepreneur, engineering executive and inventor in the fields of display, imaging and computer hardware. Without enumerating her credentials, Dr. Jepsen is very close to delivering powerful MRI technology via more affordable devices. As mentioned in a recent Forbes.com profile on Mary Lou, “A red laser pointer shining through a chicken carcass may not seem like ground breaking science but her company Openwater is working to transform diagnostic imaging technology.” The laser pointer’s light made the skin and bone of the plucked fowl glow, revealing a tumor under the flesh. This demonstration, or chicken act as seen in her 2018 TED talk, shows the science behind Openwater‘s goals. For many of us an MRI machine procedure is an unpleasant experience of lying quietly in an enclosed 2-ton magnet coffin-like device while tolerating persistent loud tapping on the metal around you. Her dream is to duplicate that expensive MRI technology in cost-conscious diagnostics using red light infrared imaging to create holograms. “The big idea is that healthcare is too expensive and medical imaging hasn’t improved much in the past three decades,” she points out. Openwater has architected new chips that are being made in the existing consumer electronics supply chain in the factories that make cameras, display chips and infrared lasers. This enables, at scale, a 1000-fold reduction in price for medical imaging and puts that capability into a wearable or portable. It also enables brain-computer communication non-invasively as has been shown with MRI machines for the past decade. Hooked by lasers and optical illusions involved, Jepsen made her first hologram as a teenager at Brown University. 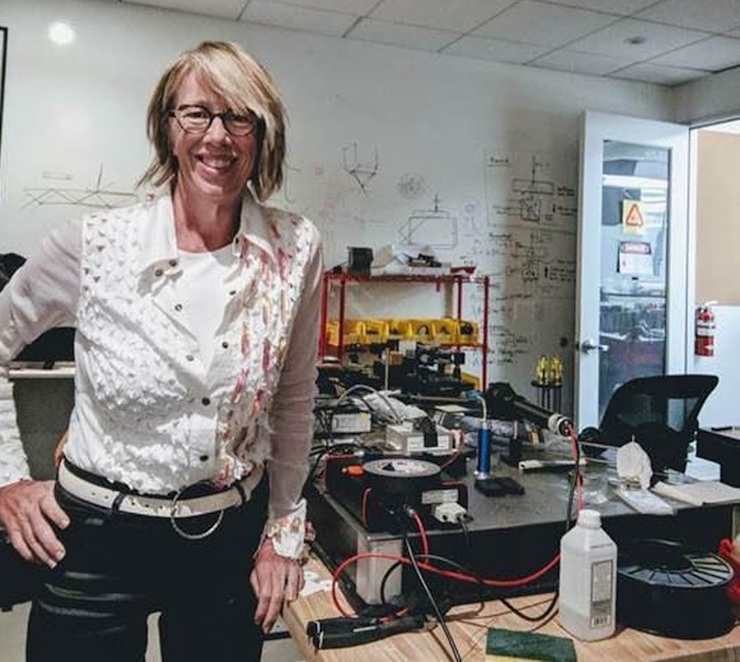 Later she used her growing skill set to develop computer display screens and virtual reality glasses at the top tech companies in the world: director of engineering at Google X, CTO of Intel’s display division, executive director of engineering at Facebook and Oculus, co-founder and chief technology officer at MicroDisplay, founder and CEO of Pixel Qi and professor in MIT’s Media Lab. Her pursuit of holograms at the Royal Melbourne Institute of Technology led Australia to put holograms on their paper money. She was the co-founder and CTO of One Laptop Per Child, a nonprofit that made $100 laptops for schools around the world. Dr. Jepsen proudly states that the genesis for Openwater began with Princess Leia’s projected message to Obi-Wan Kenobi which inspired and directed her career towards building holograms like the one in Star Wars.